Dan has started talking again. Louise says it’s a miracle, but I don’t know what to think. Our Louise has caught the genealogy bug. She read an article about how important it is to know your roots, and that got her going. Now, she’s determined to research our whole family history, starting with her father’s side. We’ve always told the kids that both Dan and I were raised in orphanages in Ontario with few memories of anything that came before. And, of course, no photos. Two lonely orphans. It seemed better that way. I told them my orphanage was a place called St. Anne’s but it had closed. I don’t think Dan ever got around to making up a story about his. So, it’s no surprise that Louise hasn’t made any progress, though after last night, God knows what Dan might tell her. The people at Dan’s nursing home are very good to him. He hadn’t said a thing in weeks, and then last night a new nurse introduced herself to him, calling him Mr. Kelly, and Dan started yelling, “I’m sick and tired of being called Mr. Kelly! My name is Gerald O’Connor, and I live at 81 Shuter Street, Toronto, Ontario.” I went to see him this morning as I always do, but he was silent, just sat staring at the bare tree outside his window. I’m not sure he realized who I was. My dear, vanishing Dan. I thought of reminding him of who he is and who he is not, but it’s probably better to leave things be for now, and hope last night was a one-time lapse. It was July of 1947, and Gerry – as he used to be called – and I had decided to elope. We were just nineteen. My father died of TB when I was four – I barely remember him – and then when I was nine, my mother was one of three people killed when the brakes on a streetcar failed. At least that’s what they told me. A neighbour got some nuns to take me into their orphanage on the condition that I be baptized a Catholic. What a terrible place that was! Never enough to eat, and such cold rooms, and they didn’t like us to make friends with the other girls. Then at fifteen the nuns said it was high time I got busy with the war effort, so they sent me off to work at a munitions plant. After the war, I moved out, and got a very nice job sewing in Mr. Klein’s fur shop on Spadina Avenue. Such a kind man—he even rented me a little room on the third floor, and hardly charged me anything for it. Around that time I met Gerry at the skating rink. Gerry was working as a mechanic in his brother Daniel’s garage. Dan was a grand fellow, home from the war with a chest full of medals and his Moira still waiting for him after six long years. Business soon picked up, and Dan bought himself a shiny black Pontiac. But their happy times didn’t last very long. The next spring Dan died from a burst appendix. He had a huge funeral; they even wrote it up in The Toronto Telegram because he was such a war hero. Moira sold the garage, gave the car to Gerry, and moved up north to live with her sister. That’s how Gerry at nineteen owned a car but nothing much else. As for me, all I had of value was a fur jacket from Mr. Klein and a ring of my mother’s. Orphans travel light. I remember it all so well; I wonder if Gerry’s memories of that night are still buried in there beside all the other lost pieces of his life. We put our cardboard suitcases into the back of the car, and headed north out of Toronto. It was starting to get dark when we spotted a sign for The Windmill Cabins: four tiny white cabins tucked in among a grove of pine trees. The office was near the road, and a tired-looking old man was at the counter adding up a row of figures. Behind him hung a poster of a smiling Dutch girl and her windmill. He bowed slightly and said, “Good evening. You want a cabin, yah?” Just in time, I remembered to turn Mother’s ring around so it would look like a wedding band. I can tell you just how he talked because now and again Gerry used to imitate him to make me laugh. The man asked for three dollars, and showed Gerry where he should sign the book. Gerry picked up the pen, winked at me, and wrote, “Mr. and Mrs. John Brown” with a made-up address on Avenue Road. When he couldn’t remember his license plate number, the man said Gerry could fill it in tomorrow before we left. I must have looked alarmed. “Don’t worry, Mrs.,” he went on. “They are coming back not until Friday. Ach! I come to Canada to get away from bad things, and now this! Soon I sell this place and put up my feet.” I looked at Gerry and he whispered that we had nothing to worry about for just one night, so I agreed. I could smell bleach even before Gerry unlocked the door to Cabin #3. Ahead of us were a narrow bed, a wooden chair, and a chipped sink with a hand-printed note over it: OUTHOUSE IN BACK. Above the bed was a travel poster showing a boy flying along a canal on silver skates. A faded flour-bag curtain covered the one small window. As soon as I saw the dark patch on the floor partly covered by a braided rug, I said we really must leave, but Gerry put his arms around me and told me again not to worry. I think that’s when it hit us that we were alone in a bedroom and this was our honeymoon, sort of. Suddenly we were overcome with shyness. Gerry went to the other side of the bed, turned his back, and started to undress. I had only managed to pull off my dress when I heard the sound of a falling coin behind me. I turned to see Gerry watching a quarter spinning away on the pine floor. Before he could step on it, it dropped into a knothole in the corner. A quarter was worth something back then, so he got down to see if he could retrieve it. As he reached a finger into the hole, the floorboard moved, and a small neat section lifted right up. And there it was: his quarter, a dime, and several fat rolls of $20 and $50 bills tied with rubber bands. He gathered them up, and we set about counting them, standing there in our underwear as if it were the most natural thing in the world. It came to $8,700! I’ll never forget that number. It would be like finding $75,000 today! Right away Gerry had a plan. He said we would take most – but not all – of the money and run. “This is the chance of a lifetime! God helps those who help themselves.” That was Gerry, always believing we have to make things happen, whereas I can’t help believing the most important things in life happen to us, willy-nilly, beyond our control. He made up two much smaller rolls totalling just a couple hundred dollars, secured them with rubber bands, dropped them into the hole, and put the floorboard back in place. He figured that these very bad men, whatever they were – thieves, gangsters, drug dealers, murderers – would think one of them was trying to cheat the others. And, if they looked in the sign-in book, they’d see that Mr. and Mrs. John Brown of Avenue Road, Toronto had rented Cabin #3. It was perfect. “Except for the license plate,” I said. We shoved the money into my purse, threw on our clothes, grabbed our suitcases, and stepped out into the dark. As I watched Gerry tip-toeing ahead of me through the sweet pine needles, it came to me that just like that, so easily, we too had become the kind of bad people who have to sneak away under cover of darkness. Gerry stopped to rub some mud onto the license plate just in case, but there was no one in sight. He tiptoed into the office, wrote a jumble of numbers beside our names, and hurried back. With the full moon, we didn’t need to turn on our headlights until we were clear of the driveway. When no one seemed to be following us, Gerry stuck his head out the window and shouted, “We’re rich!” into the warm night air. I begged him to just keep going. All I could think about was what those men would do if they found us. And so we drove on, heading south and east, south and east. Gerry wanted me to show him the rolls of bills again, but I made him stop so I could bury them in my suitcase in the trunk. That was our honeymoon. Finally, we stopped in a little town south of Montreal. All we needed, Gerry said, was a priest and a new name, only a better one this time. He picked Daniel Kelly – Daniel for his brother, and Kelly because every second family in the parish was a Kelly, and always with a Pat and a Mike and a Dan. I picked Elspeth after my mother. And so by throwing away O’Connor and putting on Kelly like a new shirt, we thought we had closed the door on our past. It wasn’t hard to find a priest willing to forego posting the bans for a $25 tip. We swore we were baptised Catholics, and after we answered a few catechism questions correctly, he was satisfied. And so with Father’s housekeeper and caretaker as witnesses, we were transformed into Mr. and Mrs. Daniel Kelly with a marriage certificate to prove it. We gave ourselves a fancy wedding breakfast in a hotel, and then continued eastward until we got to this pretty little town in New Brunswick where they speak mostly English. And here Mr. and Mrs. Kelly have lived ever since. The first thing we did after we found a hotel was buy some better clothes so we could look the part of house buyers. Then we opened a bank account, explaining that we’d received an inheritance from an uncle who kept all his money under the mattress. Such an imagination my Dan has – or, had. I guess that part of him is gone now too. Dan soon found a job at a garage, and by using some of the money, he was able to put a down-payment on a nice little bungalow in a new subdivision. When the garage owner decided to retire, Dan used another chunk of the money to buy him out. Then he managed to get the local GM dealership, and we were all set. Louise was born the first summer, the twins the year after, and then Will and finally Maureen. Dan proved to be the good husband and father I knew he would be. He loved us all, and he worked hard and went to church. On the surface, our lives were ordinary. I’m sure everyone saw us as normal, law-abiding, hard-working, church-going people. And we were. Not long after we arrived, I saw a piece in the paper about a fire at The Windmill Cabins north of Toronto. According to the police, it was a well-known rendezvous point for a notorious Italian gang. I was shaking when I showed it to Dan, but he kept telling me not to worry, as those men could never find us because the people they might be looking for didn’t exist. Even so, it brought back my very old fear of losing the people I loved. I think I spent the whole next year looking over my shoulder. Unlike Dan, I never was able to put the whole thing entirely out of my mind. I could never watch movies about the Mafia like The Godfather or that TV show, The Sopranos. But not Dan. He just carried on. His business and the kids and the grandkids filled him up to the brim. Until two years ago, the fall of 2006. That was when he started getting lost on his way home from work, and, well, you know the rest. On the surface, our lives were ordinary—Boy Scouts, church bazaars, Knights of Columbus—but we never let ourselves make any close friends. This was harder on Dan than on me. The few times we did talk about the money, Dan would repeat his argument that stealing from bad people isn’t really wrong, and he’d remind me that we’d never have been able to give our kids nearly as much without it. He even argued that we had done society a favour putting some bad men out of business. I guess people can justify almost anything if they want it badly enough. The one time Dan was in danger of revealing too much was when he won a Rotary Club Award for setting up a breakfast program in the schools. They wanted something they called a “little bio” about him, so after the children were in bed, Dan and I wrote out a list of facts and dates in two columns – The Real Story and The Fairy Tale – so he could make sure he got things right. The whole thing made him so nervous that I don’t think he enjoyed getting the award at all. Nowadays he couldn’t keep the facts in either column straight. I had that same bad dream again last night, the one where I’m standing in a pulpit wearing nothing but a white slip, and Dan’s nowhere to be found, and the church is huge, stretching on and on, and it’s packed with thousands and thousands of people, and a strange shaft of light is coming down right through the ceiling. I can see men lurking behind the pillars but I can’t tell if they are police or priests or men in black silk suits. I’m desperately trying to explain to God and everyone else why we did what we did, but people start streaming out of the church until everyone is gone except my kids and grandkids and my parents too – all in the front pew, and all crying and jeering like the crowd around the guillotine in A Tale of Two Cities. I don’t need any help to understand a dream like that. Of course I do think about “what if:” what if we’d never stopped at those cabins, or what if Gerry had never dropped that quarter, or if he’d just let it go, or if we’d left the money where we found it. We had no idea that just one lie – one substantial lie – would lead to another and another, and the whole thing would still be with us all these years later. Just the other day I was watching that show, CSI, with our grandson. A detective sprayed a chemical and then shone a blue light on things, and, woops, there was the blood the bad people thought they’d washed away. Just like Lady Macbeth! And just like our secret too. We didn’t know this when it all started, but we kept our secret safe by paying lots of attention to it, protecting it so well that it thrived like another member of our family. In some real ways, we never left Cabin #3 at The Windmill Cabins. The worst thing for me is realizing that we’ve stolen from the kids. They’ve been cheated of what is rightfully theirs. When we die sure they’ll get money, but that’s just money. They’ll never get to know what kind, good people their grandparents were. They won’t know that they’ve got honest, stalwart, Presbyterian blood in their veins from my side, and musical, story-telling Irish blood from the O’Connor side. Our Will can draw and paint beautifully like my father could, but they’ll never know that, and they won’t know that their Uncle Daniel was such a brave man that he saved a whole platoon of men, and that he was a wonderful athlete like our Louise. They won’t know that not only do the twins have my mother’s beautiful smile and blue eyes; they also have her sweet, kind disposition right there alongside the O’Connor talent for telling a good story. And none of them will know that they have a responsibility to pass on these good qualities to their kids. Dan and I didn’t know that by cutting off our roots, we’d also be cutting off theirs. It shocks me to realize that in some ways, we’ve made them orphans too. I wonder if now, finally, Dan is getting to tell his story. I expect we haven’t heard the last of it, unless I can figure out how to stop him. What I don’t know is if I should. Finally letting it all come out in the open could make for trouble, but it would also be such a relief – that is, unless it gave the kids any reason to think badly of their father. That I couldn’t bear. He is – was – is the best of husbands and the best of fathers. Sometimes I think this is Dan’s penance. This is how he’s paying for what we did, by being denied a gentle old age. I wonder what God has in store for me. Author’s Comment: I know exactly why I wrote this story: I’m very interested in understanding the ramifications of having an important secret at the centre of a family. I’ve tried to explore it in this short story, and also in my non-fiction. In my own family, the secret wasn’t about anything illegal or a child given up for adoption, but rather my father’s former life as a member of a religious order. My parents kept this a secret from as many people as possible, including me, and it had ramifications well beyond their understanding, in particular on their relationship to me. Since all families have some secrets, I’m interested in the effects of secret keeping, and how the supposed benefits – safety, wealth, reputation – can have unexpected and hidden consequences. At the time of writing this, I had also read about a man who was developing dementia. During the Second War, he had done some kind of espionage work and suddenly now, in his 80s, he’d refused to answer to what everyone thought was his real name; he now claimed he was a different person. The family, as I recall, have only unearthed part of the puzzle, in great part because he has become an unreliable witness. I also think it’s interesting to consider where our own secrets lie while we live out our lives, and how much power they have over us. Mary J. Breen is the author of two books about women's health. 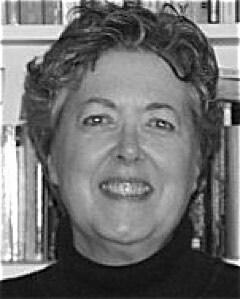 Her fiction and nonfiction have appeared in national newspapers, essay collections, travel magazines, health journals, and literary magazines including Brick, The Christian Science Monitor, Ars Medica, Boston Literary Magazine, and The New Quarterly. She was a regular contributor to The Toast. She lives in Peterborough, Ontario, Canada where, among other things, she teaches writing. View More: Next piece "The Long Shower", Home, Archive. Love your story, Mary, as well as your clear and compelling storytelling style. Writing that it occurred to me I helped a man, who’d failed at so many things, end his life on the high note of taking a plan to its intended conclusion. Thanks again for a story that awoke in me the urge to tell what I know… even if nieces and nephews and their diverging lineages will keep their allegiance to other stories gotten from sources they’ve been raised to trust more. A good, thoughtful story, Mary. I suppose all families have some sort of secret they try to hide. My own parents didn’t want to talk about themselves until they were quite old, and then of course a lot of the memories were lost. Or perhaps they still tried to keep some secrets. Makes you think, doesn’t it? As usual, your story was thought provoking, with a well planned and increasingly complex plot. Family secrets do go beyond the original generation and have far reaching consequences. Thank you Mary for your insights into this topic. A family secret can be the”elephant in the room” as in my childhood home where we had to keep my father’s drinking a secret from our neighbours and friends. That had a far reaching affect on us all. As always I’m impressed by your ability to convey so much in the short story form. I would have probably taken the money (and then confessed it in the confessional) without realizing the damage I was doing by pretending to be someone I wasn’t. I think one of the joys of getting older is that I can finally be who I am, am not interested in “what the neighbours will think ” or who will be impressed by my abilities. And my grandmother’s family has a habit of ‘not saying’ things….maddening. Also, I just heard a woman speaking about the ‘British Home Children’, and her mother’s experiences. She reflected near the end of the interview (on The Current) that asking her mother about her childhood elicited the response “I can’t say; I’ll get in trouble” even 73 years later. Such a heartbreak. My (m) Grandpa was a Home Child and arrived when he was about 12. All I know about that was at 16 he ‘ran away’ and joined the RCAF.